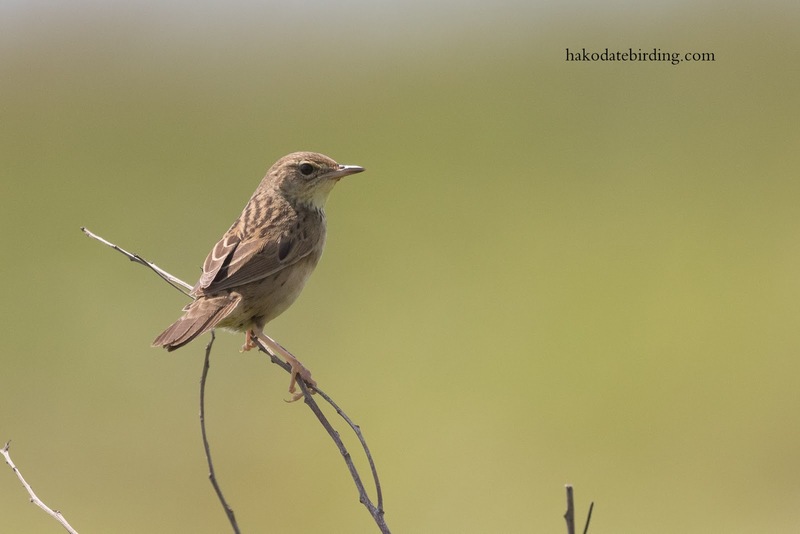 That dot in the middle is a male Yellow Breasted Bunting in Sarobetsu. This is already a heavy crop, it was a long long way away. Anyway, a lifer and #283 on my J-list. Also around in the area where White Tailed Eagle, Eastern Marsh Harrier and Northern Hobby but nothing came close enough to photograph. The other bird I'd been hoping to see was Lanceolated Warbler. I didn't hear a single one in north Hokkaido (although my ability to hear high souinds is terrible). I gave up. 1 out of 3 was not so bad. A Lanceolated Warbler, another lifer and #284. Now 2 out of 3 in great news Stuart. Have a lovely weekend. Great that you got at least one lifer. Obviously the longer you live in Japan the harder is going to be to add new species. Hi David, actually I got 2 new birds this trip. The number of lifers is drying up a little, only 4 or 5 a year for the last few years. I rarely leave Hokkaido, on the island there are maybe 20 or so species of varying degrees of scarcity I could realistically see if I keep going. On the other islands in Japan there are many more however. 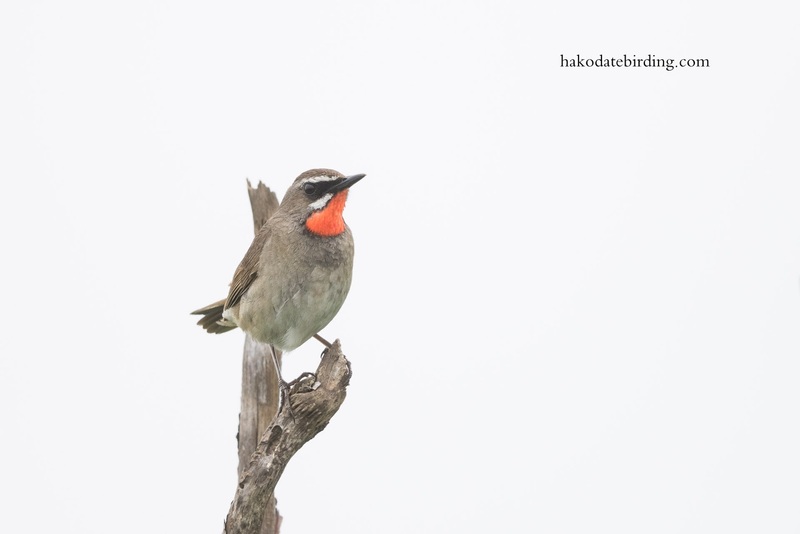 I've only seen 284 species in Japan but 275 of those have been in Hokkaido! Lanceolated Warbler must be a good find anywhere, even better to get pictures of one out in the open. 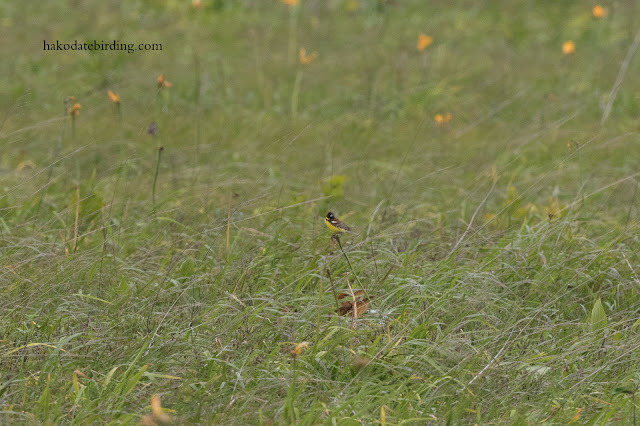 Yellow Wagtail gets harder to find here. So much so that it has become a species to chase after in the North West especially. Your Yellow Wagtail looks very distinctive with that black through the eye and ear coverts. 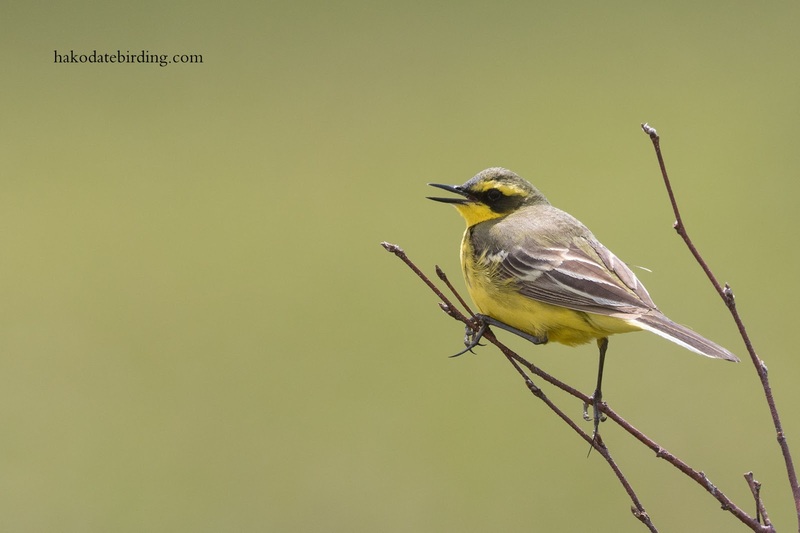 Hi Phil, I don't recall seeing any Yellow Wagtails when I was back in the NW recently, they used to be common on the Ribble marshes. I remember lots on the Ribble marshes and another good place was the water meadow where the Rothay runs into Windermere at Ambleside. Good place for reed warblers too. Ah!! the memories. One of several species much scarcer than when we used to go out birding in the early 1980's. Other species seem to be doing well at least. Buzzard/Nuthatch/Little Egret/Marsh Harrier for example.